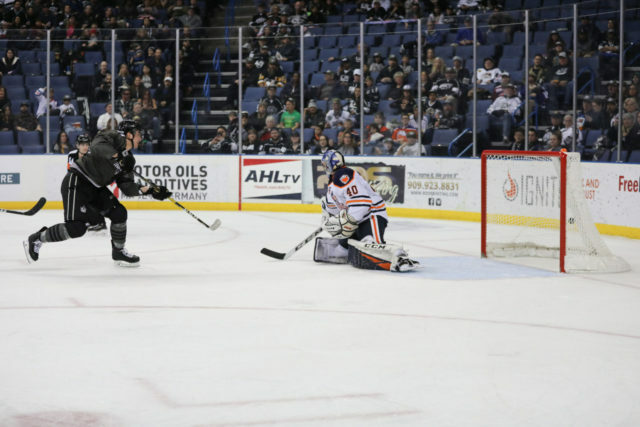 The Reign wanted a response tonight, after a 7-0 defeat in their last time out, and they got it, in a 5-4 shootout victory over Bakersfield, the same team that defeated them last time out. 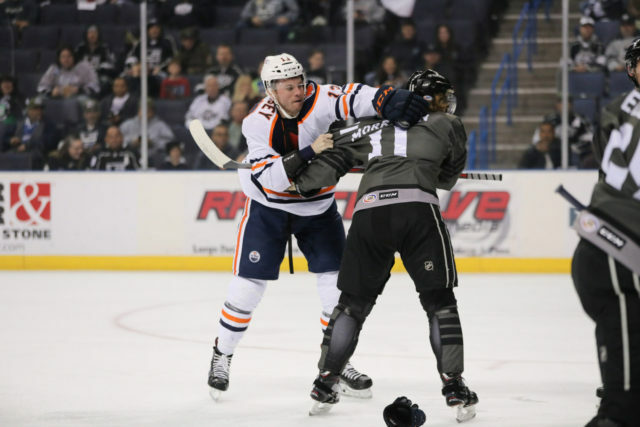 In typical Ontario fashion, a late goal forced the extra session, as the Reign got their desired bounceback performance against the Condors. Defenseman Chaz Reddekopp scored his first career professional goal, while forward Philippe Maillet scored twice, including the game-tying goal inside five minutes to play. 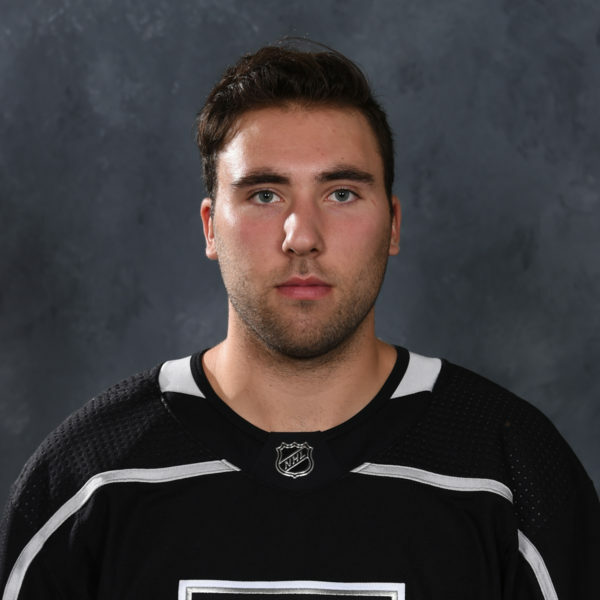 After regulation and overtime ended knotted at four, forwards Sheldon Rempal and Mike Amadio each scored in the shootout, as the Reign. The Reign didn’t score at even strength all night, with three power-play goals and one while shorthanded. 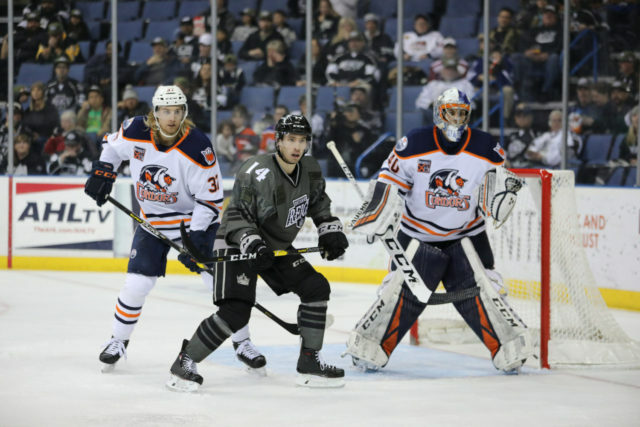 After the Condors struck first, with the lone goal of the opening period, the Reign overturned the 1-0 deficit through 20 minutes with a pair of power-play talliers, just over three minutes apart. First, forward Philippe Maillet redirected home a Daniel Brickley point shot 4:37 into the second period to tie the game at one. 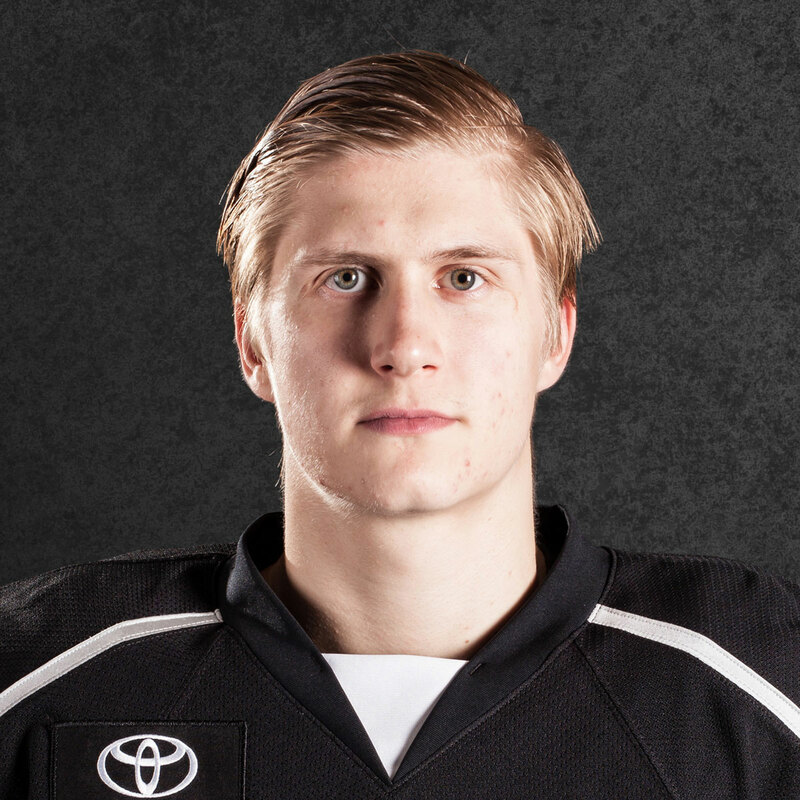 Forward Nikita Scherbak got his fifth AHL tally of the season, which put Ontario ahead, converting from the bottom of the right-hand circle to put the hosts on top 2-1. 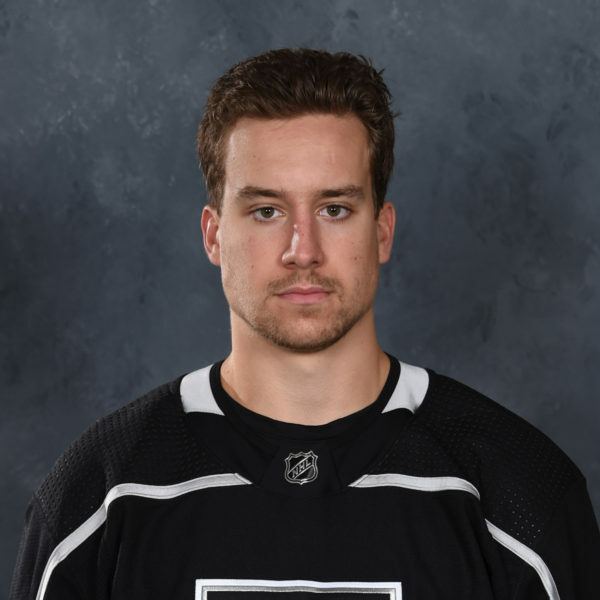 After the Condors equalized, Reddekopp blew the roof off the place with his first career professional goal, a shorthanded breakaway tally, to put the Reign back ahead. Reddekopp forced a turnover in his own end, went the length of the ice and went top shelf on Bakersfield netminder Shane Starrett to re-gain the Ontario advantage, while drawing one of the loudest roars of the season from the crowd. Bakersfield, however, answered with a pair of goals 37 seconds apart in the latter stages of the third period. Forwards Mitch Callahan and Evan Polei each scored, with Polei’s tally coming directly off a faceoff, just narrowly squeaking through Petersen, for his ninth goal of the season, putting the Condors ahead 4-3 at the second intermission. Maillet knotted the game at four late in the third period, as he scored on the backhand for his second goal of the evening and 16th tally of the season. Maillet’s tally came on the power play, his team’s third goal on the man advantage throughout the evening. 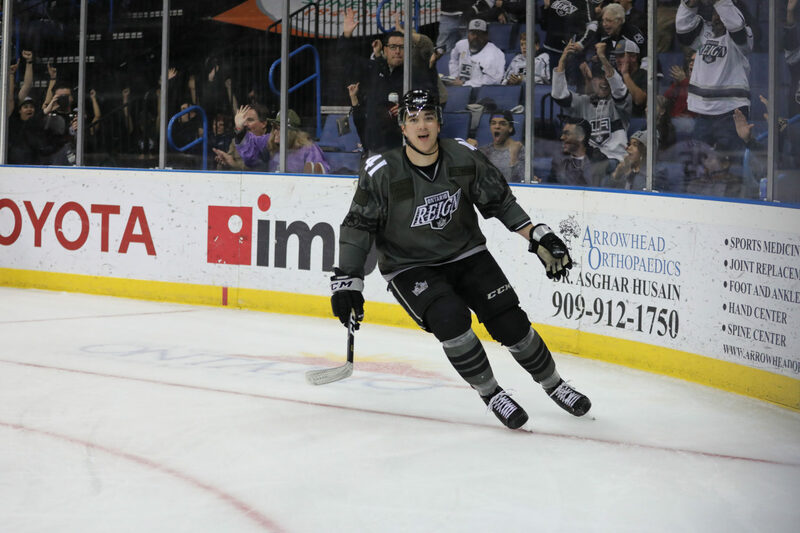 After overtime came and went, with plenty of chances but no goals, the teams headed for the shootout, where the Reign struck twice, while goaltender Cal Petersen stopped each of the two shots he faced to earn his tenth victory of the season. 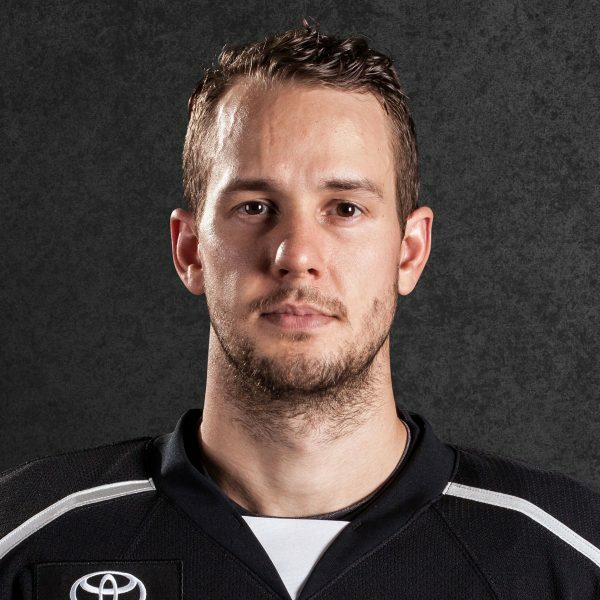 Ontario won for the first time on home ice in the season series against Bakersfield, while they evened their record at 2-2 in shootouts this season. 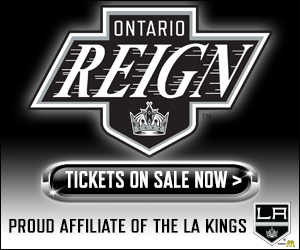 The Reign are back in action tomorrow evening, as they head to San Diego to take on the Gulls. You know, earlier this week, when we were having practice and whatnot, Bellsy was saying we didn’t produce enough from the backend shooting the puck. Through practice, we kind of focused on just getting pucks through, not getting them blocked, just getting it right to the net and letting our forwards do the work. Any chance I had, if I had an opening, I was just shooting it. Yeah, of course…I don’t really know how to answer that. The puck, it seemed to come up to me, but I have to give credit to the forwards, on the power play and even 5-on-5, puck recovery was key. They got it, went low-to-high really quick and I think it caught Bako off guard. Like I said, lanes were open and I just kept shooting it. It has been a roller coaster ride, definitely. Physically, emotionally, family, hockey, everything. It’s a great organization, they’ve supported me the entire way. It’s cool, I guess, to say, to look back like a year ago I was first signing, or it’s coming up, I signed on my birthday. Time flies and I don’t really take it for granted. I’m keeping a close eye on Mankato. They play tomorrow against Bowling Green, they’ve had a really good year the past couple of years. I’ve been trying to keep a good eye on them. The coach there, he keeps them in line, it’s fun to watch. There’s some things that people think are funny, that our players do, and some times, I don’t find them as amusing. There were a couple that made me chuckle. Brad Morrison put the puck into the bench and hit me in the arm, and the other arm, I had already slammed against the glass for a play that Mo had done earlier. Dead arms on both sides, so if you wanted to fight me, tonight would be a good night. We put a strong emphasis on a shot mentality tonight. We got our lunch handed to us last game against these guys, we had nothing, we wanted to have a better response and obviously we did. I’m really proud of the guys. You asked, after the game, what did we expect from our players and I told you, they’ll be ready to go. That’s what they are, they’re good character guys. There was some good pushback tonight, it was a lot of entertainment. Some goals, some dust ups, not enough dustups but we’ll still keep working on that, and the end result. Cal made some great saves for us, guys were blocking shots, I thought it was a fun game, entertaining. You know what’s amazing about that? In drills in practice, we let that run out all the time, so if there’s a turnover and the D gets the puck, he goes down and on those breakaways, he scores almost every time and he does exactly what he did, just over the shoulder, just underneath the bar. When he was going, the guys on the bench were going, “we’re going to see it, we’re going to see it” and sure enough, that’s his first goal too. I’ve got the puck, I forgot to give it to him! No…actually, I told Luffer if we needed him he was going to be going and then, we would’ve went through quite a few bodies before we got to him. [Reporter – Wasn’t sure if you were feeling the hot hand]. Stothers – No, because he needs somebody chasing him from behind.